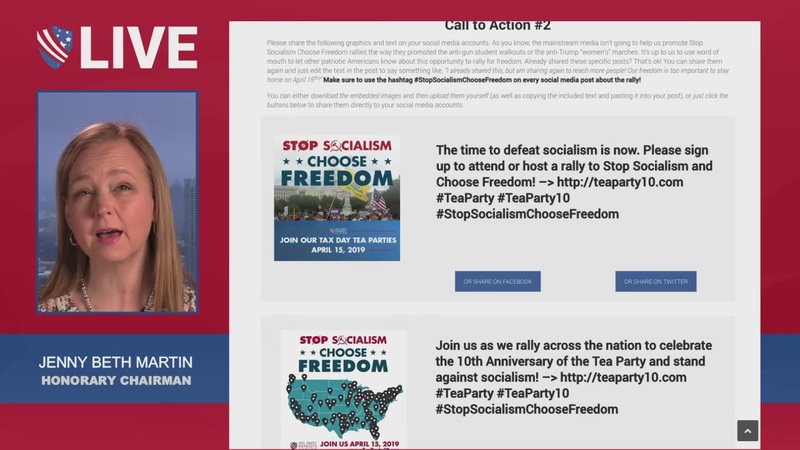 Tea Party Patriots Lunchbreak LIVE – 04/01/19 – Today on Tea Party Patriots Action’s Lunchbreak Live: Showdown over the Mueller report … Trump Administration reverses itself, asks federal court to throw out ObamaCare in its entirety … Senate Dems run and hide on Green New Deal resolution … the crisis at the southern border is getting real, even Obama’s DHS Secretary agrees … will the Senate finally move to end the obstruction on confirming Trump nominees? All this and more. Tea Party Patriots Lunchbreak LIVE - 04/01/19 - Today on Tea Party Patriots Action’s Lunchbreak Live: Showdown over the Mueller report … Trump Administration reverses itself, asks federal court to throw out ObamaCare in its entirety … Senate Dems run and hide on Green New Deal resolution … the crisis at the southern border is getting real, even Obama’s DHS Secretary agrees … will the Senate finally move to end the obstruction on confirming Trump nominees? All this and more.